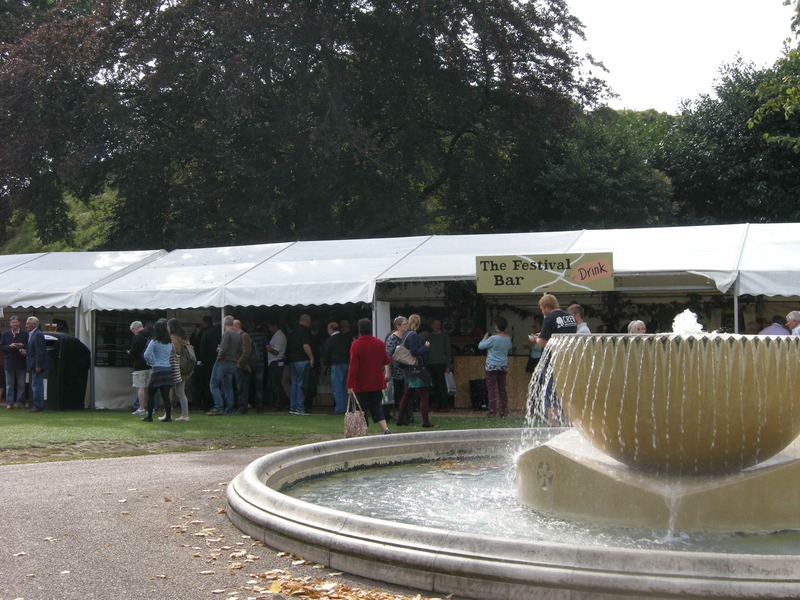 We are back at Canterbury Food & Drink Festival, in Dane John Gardens, and have had such a busy first day this is the first chance KGHBF Publicity HQ’s had to log in and post an update. If you’ve entered via the Gas Street end of the Gardens follow the main tree lined path and we are ON THE RIGHT just before you get to the fountain. If you have come in from the Watling St end then join the main tree lined path and head into the centre of the gardens towards the fountain – passing the main Produced in Kent stands and the bandstand on your left – go past the fountain and turn left where you’ll find us near the pub style seating just before the kids’ play area. If you have come into the park from the Marlowe Ave side – take the shortest route to the tree lined main path and turn right, heading towards the fountain (with the bandstand on your left). We are on the left shortly after the fountain – near the pub style seating just before the kids’ play area. We are NOT by the fountain this year but it’s a good landmark for finding your way to the Green Hop Bar (see directions above). The Green Hop Bar is also marked on the festival map, copies of which are available at the Festival – but basically we are not in the main area this year, we are near the mini fairground rides but also conveniently not too far from the loos! The beers are tasting marvellous once again this year. The only downside is that some breweries have been unable to send casks in time. We hope to post an update to the beer list during the weekend but can only offer our apologies regarding any ‘missing’ beers and offer to help you find alternative brews to suit your palate. We look forward to seeing you in Canterbury over the weekend! ← Canterbury’s Goods Shed joins KGHBF!